Trail Rated, off-road ready, the Jeep Wrangler offers multiple 4×4 systems alongside 33-inch all-terrain tires, 84:1 crawl ratio, heavy-duty transfer case, and heavy-duty front and rear Dana 44 axles to deliver exceptional capability when you take the Wrangler off-roading in New York, or tow up to 3,500 pounds between Bayside and Eastchester. The Wrangler interior features include an 8.4-inch touchscreen, custom-configurable 7-inch Multiview Driver Information Digital Cluster Display, heated front seats, and a 552-watt, eight-speaker Alpine premium audio system. Contact our Jeep dealership team in Long Island City to learn more about Jeep lease specials. Ocean Blue Metallic 2019 Jeep Wrangler Unlimited Sport S 4WD 8-Speed Automatic 3.6L 6-Cylinder Multi Point inspection *, Fully Serviced & White Glove Detailed *, ABS brakes, Compass, Electronic Stability Control, Low tire pressure warning, Traction control. Red Clearcoat 2019 Jeep Wrangler Unlimited Sport S 4WD 8-Speed Automatic 3.6L 6-Cylinder Multi Point inspection *, Fully Serviced & White Glove Detailed *, ABS brakes, Compass, Electronic Stability Control, Low tire pressure warning, Traction control. Black Clearcoat 2019 Jeep Wrangler Unlimited Sport S 4WD 8-Speed Automatic 3.6L 6-Cylinder Multi Point inspection *, Fully Serviced & White Glove Detailed *, ABS brakes, Compass, Electronic Stability Control, Low tire pressure warning, Traction control. Crystal Metallic 2019 Jeep Wrangler Unlimited Sport S 4WD 8-Speed Automatic 3.6L 6-Cylinder Multi Point inspection *, Fully Serviced & White Glove Detailed *, ABS brakes, Compass, Electronic Stability Control, Low tire pressure warning, Traction control. In the words of Edmunds.com, “the Jeep Wrangler has held the crown of ultimate affordable off-roader ever since it was first offered to the general public.” It continues to deliver everything from 285 hp and 260 lb-ft of torque via a legendary Pentastar V6 engine to high-end onboard technology. The Wrangler interior features include an 8.4-inch touchscreen, custom-configurable 7-inch Multiview Driver Information Digital Cluster Display, heated front seats, and a 552-watt, eight-speaker Alpine premium audio system. 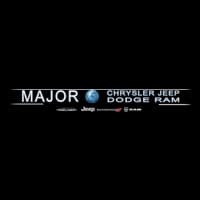 Find the Jeep Wrangler for sale at Major World Chrysler Dodge Jeep Ram.